When it comes to the Arctic Fox and little Arctic Foxes most people have visions of the Wonderful World of Disney or the “Nature Channel”. Yet in the bitterly cold Canadian arctic lives a little fox that survives on essentially what it can capture and scavenge. These foxes of the ranges of the Northern Inuit people have a dull brown coat in the summer which changes in August & September to the beautiful pure white fur that they wear throughout the winter time as a more than perfect match for the white and snowy world in which they live. Yet in another color phase the Arctic fox has a dingy brown summer coat, which just before the winter seasons changes to a sleek coat of bluish gray colorations. 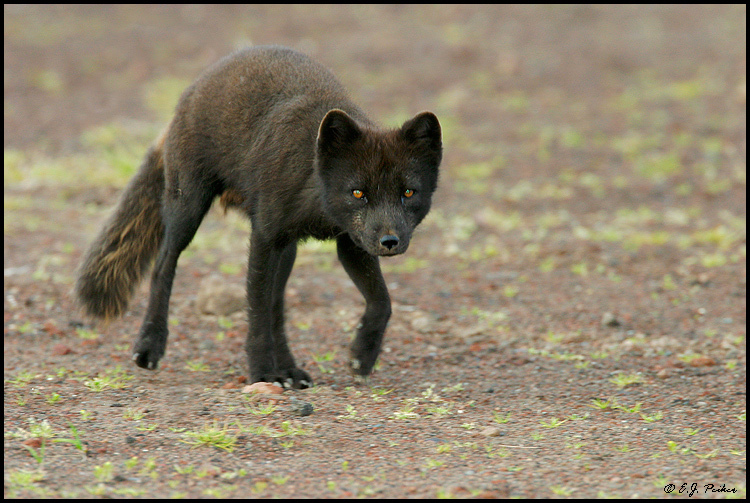 Naturalists have noted that these “blue foxes” seem to live around the coastal cliffs and feed on colonies of nesting birds , while the white foxes depend heavily on rodent lemmings for their food and nutrition sources. In the summer seasons living is easy for these foxes. Snow is gone from the Canadian “Tundra” or most of it at the least , and prey animals , especially lemmings , can be readily hunted and captured . Additionally ground-nesting birds and their eggs are also taken. When the harsh winter season arrives, deep cold settles over the North Country. 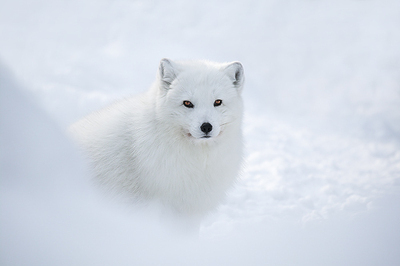 Layers of ice and snow lock up the frigid land and the fox neither has the luxury of hibernating nor migrating, but instead must stay put and make the most and the best of the severe cold of the Arctic winter season. It conserves energy by resting through some of the stormy weather. Yet to survive it must find food, and for this it has two ready sources. First comes the food cached during times of plenty. Sea birds have been captured, and stored for winter and so have their eggs. Many foxes are found living around seaside colonies where birds nest by the thousands and thousands. Other foods are stored as well. The foxes cache and cache areas are protected from larger predators and predation by storage in very inaccessible areas in rocky crevices. 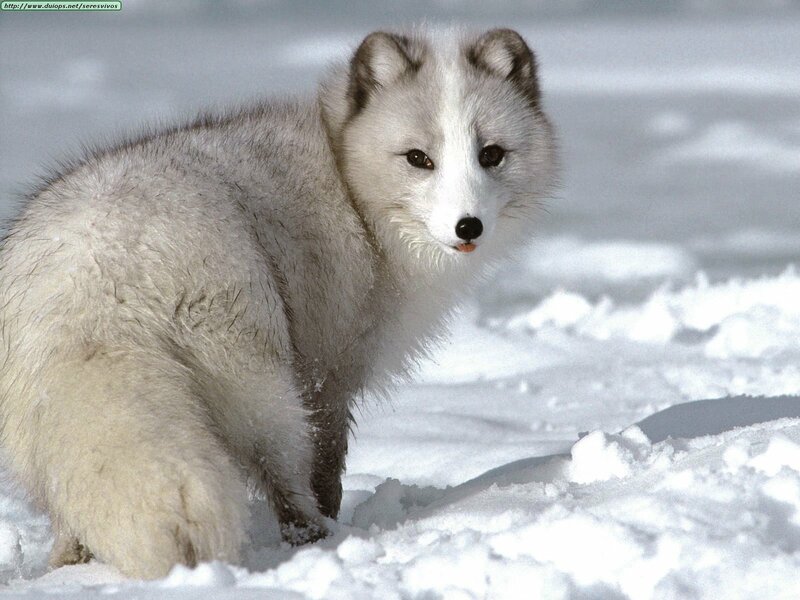 Stored foods , however seldom see the Arctic fox and groups of foxes through the winter seasons. The species must still get out and hunt for food. 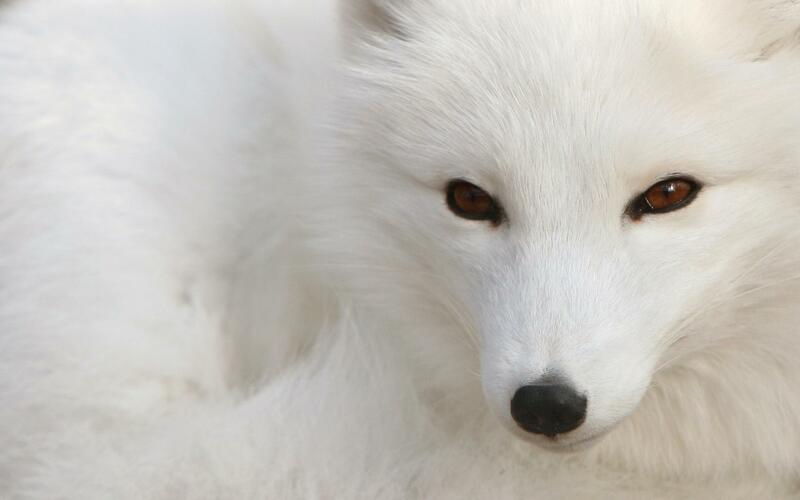 Foxes trail polar bears, feeding on scraps left behind when the much larger polar bear predators hunt and kill seals. They even slip along cautiously behind the powerful wolves, searching for leftovers and scraps. Lastly along the coast ,they feed on carrion –being being mainly dead seals and stranded whales. Its no easy life at all for an Arctic fox to survive in the desolate and cold northern Canadian arctic climate and environment.